It’s no news how Moto G took everyone by surprise when it was first introduced as the perfect budget cellphone. With a small price tag of under $200 and off-contract availability, it was indeed easy for people to mellow down their expectations of the device and not anticipate it to be the quickest or the smartest of the lot. But the Moto G was a surprise. It was one of those gadgets that ended up being more than simply satisfactory. Both the price as well as performance of the Moto G has been one of the best in the industry and it has rocketed to the top of the list as one of the best “cheap” smart phones one could own. So here we are a year later, presenting the new Moto G, which isn’t much of a game changer and we pause here to ask, does it really have to be one? What we actually need to figure out is if this year’s model has met the standards set by its predecessor and is superior in any way? For what we know, the new Moto G flaunts a camera that is undoubtedly better than the original one. The Android 4.4.4 interface is a treat and will be liked by one and all. The device also feels crisp in hand despite the aging internals. And let’s face it, it is pretty darn inexpensive. A smartphone for the same price is not available anywhere with similar performance standards. While there are numerous pros to this new model, it is not without a few cons. 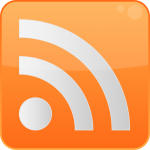 The device has no LTE support. Also, the screen of this model isn’t very crisp as compared to the previous year’s model. Moto G looks much like last year’s batch of Motorola devices with only a few noteworthy differences. The phone does have a more expansive, 5-inch 720p display and barely has any edges on the left and right. Also, a shiny pair of front-facing speakers above and below the screen help the Moto G impersonate the Moto E quite convincingly. On top, the tiny notification light glows the moment someone sends across an email or texts on your Facebook wall. 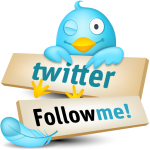 All in all, that is what the device has to offer in terms of the visual appeal. However, the good news is that Motorola’s wallet-friendly strategy hasn’t changed a lot since the previous year’s release of Moto G, and that works pretty well for all of us! The Motorala Droid Turbo is a sturdy smartphone with more ample dimensions that have a set purpose. The solid chassis makes the handset feel reassuring to hold with that prominent curve helping the Turbo rest comfortably on your palm. More importantly, the protective outer shell has been made with a purpose to keep the precious inner composition intact. Even though the outer shell is not very impressive looking, the hardware inside it is robust. Turbo’s hardware holds together a speedy quad-core 2.7GHz Snapdragon 805 processor chip, 3GB of RAM and a tremendous 3,900mAh battery. The front is somehow even less visually interesting but when the 5.2-inch Quad HD screen comes alive, the handset’s front becomes quite appealing in appearance. Other than that, the front of the phone sports a wide speaker grille nicely placed above the 2-megapixel front-facing camera, and the capacitive touch buttons beneath the screen. The biggest addition here is Motorola’s Droid Zap feature which is a cool tool that lets you fling photos and videos to people nearby or onto a Chromecast. 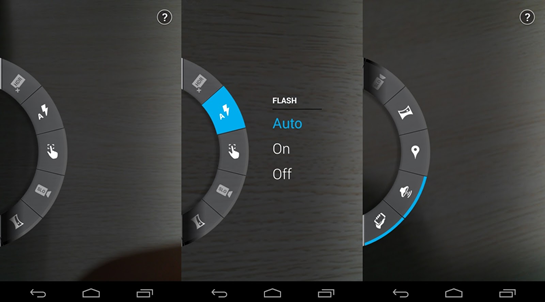 Droid owners can also set up specific regions called Zap Zones to speed up the sharing. Once activated, in a way, you’re broadcasting every photo you take to a pre-selected group of people. In regard to the phone’s camera, Motorola seems to have learned from one of its biggest failings in the case of the Moto X’s lackluster 13-megapixel camera. They have worked on it now and the Turbo packs a 21-megapixel rear camera with a wide f/2.0 lens, which is indeed a great combination. The full-resolution photos look crisp and vivid although low-light performance is not all that great. With a solid body and rich hardware, Turbo seems to be a promising smart phone. Its long battery life, attractive Quad HD screen, powerful performance and a much improved version of the camera (as compared to Moto X) this device packs specifications of a well-built and well-composed smartphone. While it lacks the style and charm of the 2014 Moto X, the Droid Turbo is a small power packed machine that happens to outperform its relative in nearly every important aspect. 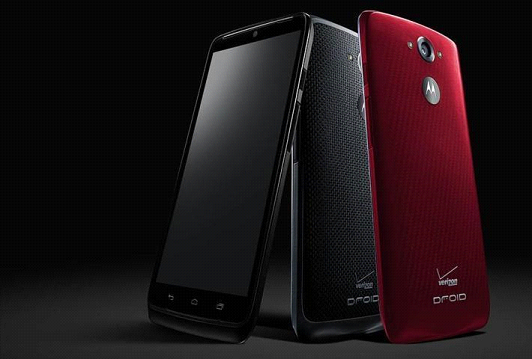 However, many of you may not be able to lay your hands on it because it’s a Verizon exclusive phone. Over the last five years, Samsung, Nokia, and Apple have sold a variety of Smartphones and earned a good reputation in the field of communication technology. Motorola, on the other hand, always managed to make Smartphones with modest specifications and sleek designs that helped users to have a comfortable grip on the phone. In today’s overcrowded Android Smartphone market, it is often difficult to distinguish one device from the other. Thankfully, some companies are coming out with handheld devices that do stand out. 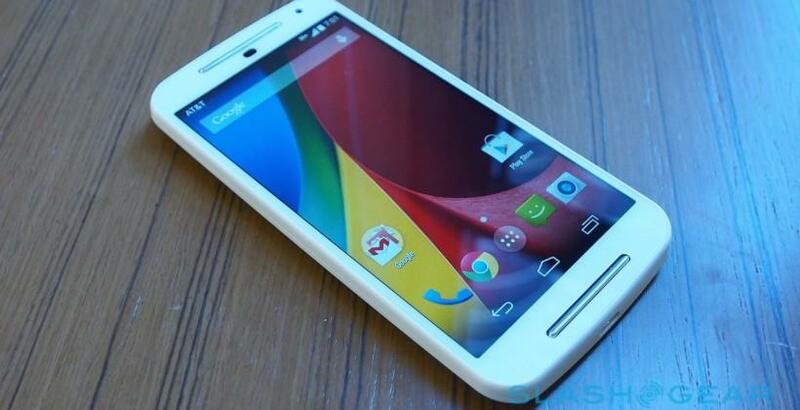 One such device is the recently launched Moto X which has been designed by Google. 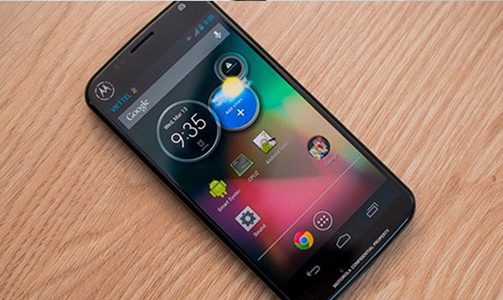 The Moto X has a 4.7 inch display with a resolution of 1,280 x 720 pixels. Moto X is the first Google-influenced phone which includes some innovative features and the best power efficiency specifications. 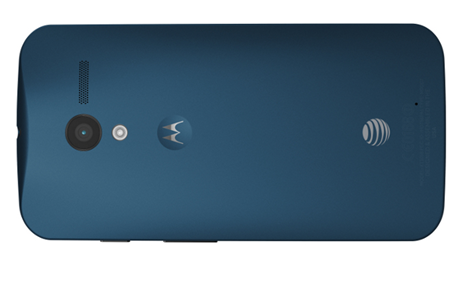 The Moto X has a 10-MP rear-facing camera and a 2 MP front-facing camera. This device is equipped with a clear pixel RGBC sensor and LED flash which can snap pictures with high speed and can grab 75% more light as compared to its competitors in the Smartphone category. When it comes to internal memory, Google hates MicroSD cards. 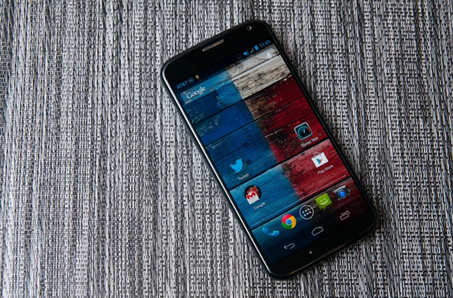 There is no slot in the Moto X like Google Nexus 4 and Nexus 5; users can simply choose between a 16 GB and 32 GB model. 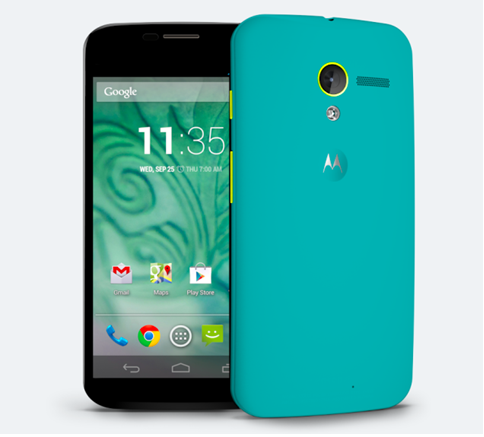 The most interesting part of the Motorola Moto X’s design is the choice of multiple colors that is available to users. While purchasing this device, users can select from 2 front colors and a total of 18 back colors as well as 7 accent colors. What’s more, Motorola gives you an option to have a personalized print on the back of the phone. When it comes to modish specifications and special features, the Moto X won’t blow your mind, but it does seem to have a few handy tools that you’ll not find on any other Smartphone. Accessibility and battery life makes this phone one of the best phones that will comfortably fit in your hand. Moto G is a safe bet for those who want a multi-functional device at a reasonable price. The Moto G is an inexpensive smartphone that is technologically forward for its cost at just $179 in the United States. This is nearly half the price of Google’s Nexus 5, and much lower than many other smartphones out there in the market right now. This low-cost smartphone is a genuine one-handed device – a refreshing change from 5-inch-plus devices we have been reviewing as of late. The Moto X is certainly the high-end Smartphone with more RAM, a larger battery, and 4G LTE connectivity, but the fantastic price point and the availability of customizable options in terms of colors, hardware, software etc. make the Moto G worth a look. Both devices run on the Android platform and come loaded with the Jellybean operating system, which can be upgraded to the Kitkat version. The Moto G screen is smaller than that of the Moto X. It also differs in technology. 5. 5 mega pixel camera with LED flash, 4X digital zoom, Auto HRD, Panorama. Watch, read and browse on a big, brilliant display today! An edge-to-edge display that stretches to its four corners of the phone.